Welcome to Bluebird Self Storage. We are your local New Hampshire self-storage facility providing clean, secure, climate controlled storage units at a fair price. 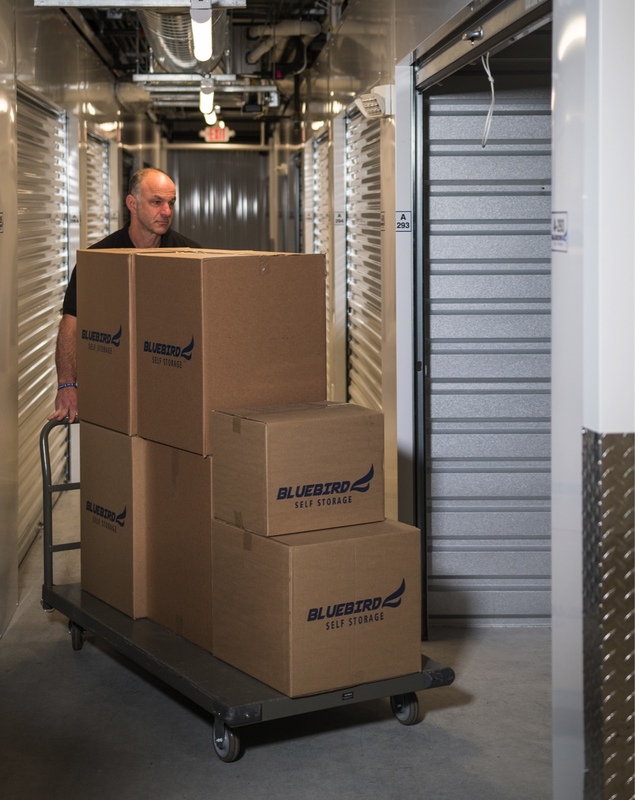 Whether you need to store and protect valuable business items or your treasured personal belongings, we offer a wide variety of storage units and sizes with a guaranteed annual rate and no hidden fees or costs. We will even pick up your things for free when you rent with us. Offering the best in storage solutions. Let us do the heavy lifting. 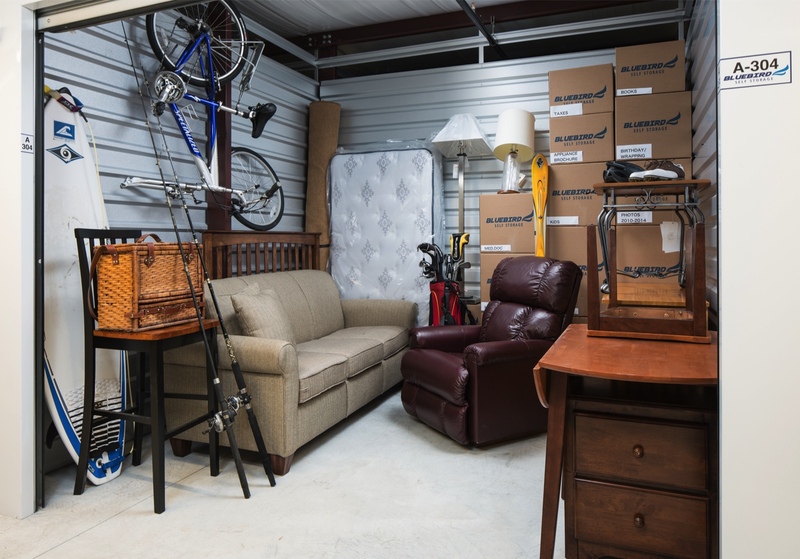 When you rent a storage unit at Bluebird Self Storage, we will send our employees to pick your items up for FREE! Keep all your valuables at just the right temperature. We use a combination of heating, cooling and dehumidification to protect and maintain your items perfectly. Security is paramount at Bluebird Self Storage. With our state-of-the-art digital monitoring system, you can be sure your valuables are safe and secure. Rain or shine, we’ve got you covered. Move in or visit your storage unit with ease and comfort. Our friendly and trusted team is on-site and ready to assist you with all your self-storage needs. Not only do we have competitive rates for self-storage, but we also guarantee our rates for 365 days. Plus, there are no additional deposits, administrative fees or requirements to purchase insurance from us. If you’ve already taken advantage of the Free Pickup service and have more stuff to put into or take out of storage, ask about our Paid Pickup service! Ideal for smaller pieces of furniture. Great for boxes. Ideal for a typical one bedroom apartment. Ideal for a single family home's worth of storage. Ideal for commercial or small business storage. I've never put anything in storage before and was there with a friend and was pleasantly surprised at how clean and well-lit the place was and good security system. Modern new organize and clean! Also elevators and carts for free use. Great indoor / outdoor storage options. Indoor is climate controlled. Reasonable prices. Building is less then 2 yrs old. 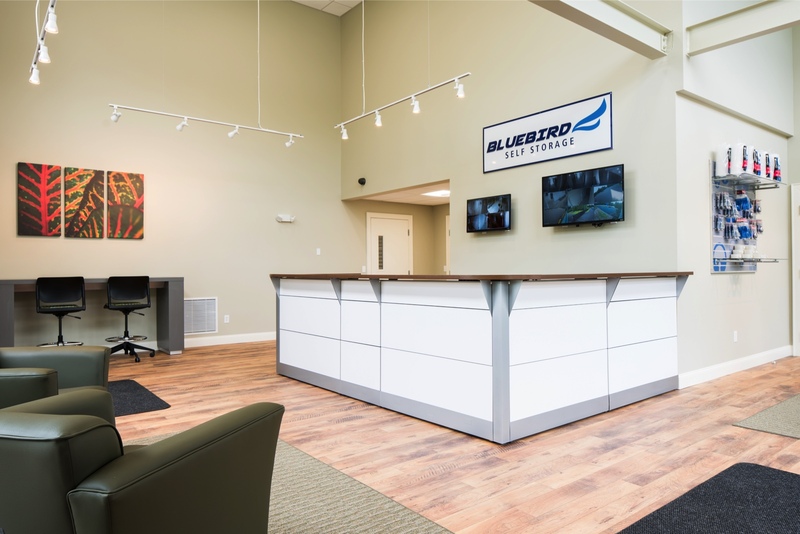 Bluebird Self Storage has 7 locations across New Hampshire.